Many seniors find that as they have gotten older, they now have the time to partake in many activities. Unfortunately, as the days begin to get shorter, and the weather begins to get cooler in the Chicagoland area, there are many activities that can no longer be done. A Chicago home care aide can change that. The challenge comes in your senior loved one finding ways to occupy their time. It’s hard to come up with activities that seniors both enjoy and don’t needlessly exert them. November is perfect month to start new hobbies and activities that can turn into traditions for each year as the weather begins to get cooler. Trained home care aides know the importance of seniors taking on new hobbies and activities during the winter months. Trained home care aides from Homecare Powered by AUAF are prepared to help your loved one finally begin these activities. 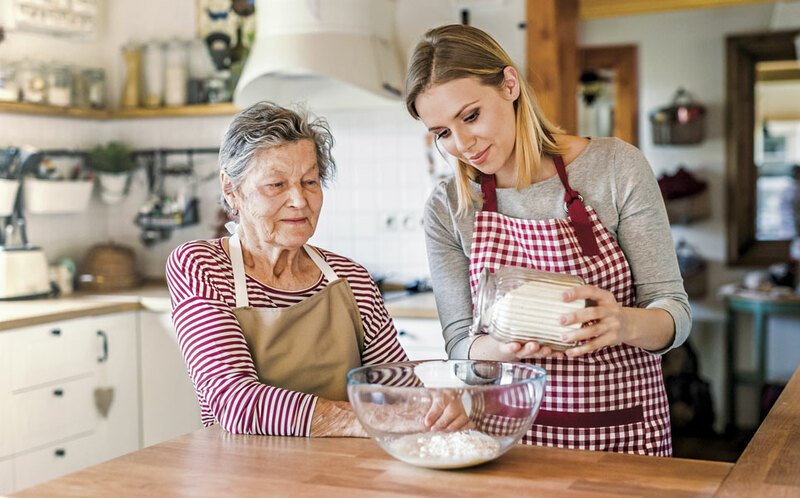 All of these activities are ones that your senior loved one can begin alone, but are made better and more enjoyable with the addition of a senior home care aide. The addition of a home care aide, like ours at Homecare Powered by AUAF, can provide a stable presence in the life of your senior loved one. As a Chicago home care agency, we strive to go above and beyond. We recognize the added stress of home care in Chicago. This recognition pushes us to present suitable activities to your loved one. Furthermore, it pushes us to find the caregivers that are ready to participate in these activities while maintaining the rest of your loved ones basic in-home care needs. What’s most important is the health and well being of you and your senior loved one. The stability and consistency of having a home care aide is one of the best things you can make sure you provide your loved one with as the months grow colder and the days get shorter. A home care aid has a variety of tasks they can accomplish. The added benefit is their ability to also take part in the new day to day hobbies or activities that your loved on decides they want to start as the winter months approach. It can mean all the difference in a smooth and easy transition into and through the winter months. More importantly, a home care aide provides an extra set of eyes and ears to check up on your loved one in a time when people become more secluded. If you want to find out more about the caregivers at Homecare Powered by AUAF give us a call at 773.274.9262.